This section is a log of Kandu developments and projects to date. We have added additonal CompTIA, Cisco and Cyber Security Live Labs to our Lab Store. Since the re-brand from NUS Extra to Totum many training establishments eligibility to issue the Totum card has been removed. However, we are delighted to say that Kandu IT have maintained our status as an approved provider and should our BTEC students wish to purchase a card they are welcome to do so. Should you wish to purchase a card, please contact your tutor who will provide a URL and code from which the card can be obtained. Our 2017-18 Academic Year review has revealed a record number of learners using our BTEC courses to gain accredited IT qualifications as part of a home schooling programme. We appreciate that all learners have different needs and look forward to feedback over time to help develop this important, yet unsupported area of education. .
Our CompTIA Network+ has now been updated to reflect the new N10-007 learning outcomes. This includes a new set of 30 Live Labs and 800+ practice questions. 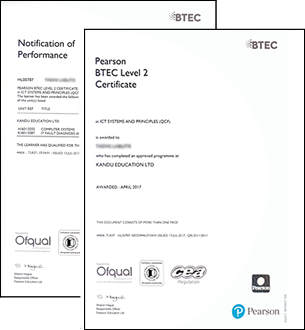 Once again we have received an outstanding report from Pearson Edexcel as part of our 2018 BTEC Standards Verification, retaining our ‘Direct-Claim’ status allowing us to provide BTEC Certification in the shortest time possible. The report particularly highlighted the standard of work being produced by our excellent students, we’d like to thank all of you for your efforts this past year. A small sample of the report can be found below. December 2017 - A Busy Month! New CompTIA Network+ Course has been added to the course catalogue. We have also integrated Live Labs into our Free Intro Course and created a Free Mini-Course to showcase the value of the Live Lab Environment. Our new CompTIA A+ course includes Live Lab technology, allowing you to full access to real IT equipment when you need it. Practical learning always produces superior results. Thanks to the hard work of our assessment team and the fantastic Kandu IT Students we have received a glowing report from Pearson Edexcel. 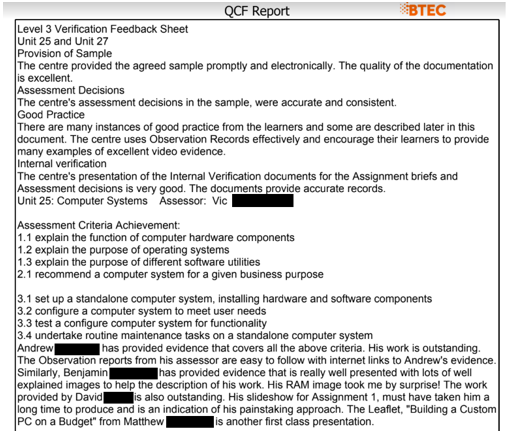 The standards verifier highlighted our first class support, the consistent high quality of assessment materials and work produced by our learners. We have now achieved ‘direct-claim’ status and are able to issue Level 2 & 3 BTEC Qualifications year round with the certificate arriving within just 2 weeks of the final assessment being completed. Combining this with our Fast Track courses mean that Kandu IT can now officially provide the most cost effective, fastest method of obtaining accredited technical IT qualifications without any drop in standards. "Well written and easy for remote learners to achieve the required standard". "The feedback to the students has been first class, with a good explanation over what the students have completed". "Please keep up the level of professionalism, and quality for years to come". January 2017 - We’ve moved!! December 2016 - Kandu Education Limited are proud to announce Creative Preformed Markings as official suppliers of Kandu Playground Markings. September 2016 - New BTEC Level 2, Level 3 & CompTIA A+ IT Support Course package added to the subscription options. August 2016 - CompTIA A+ 220-902 practice questions now included free of charge with all BTEC ICT Specialist & Flexible Subscriptions listed Here. August 2016 - Over 650 exclusive CompTIA A+ 220-901 practice questions now included free of charge with all BTEC ICT Specialist & Flexible Subscriptions listed Here. 220-902 Practice Resources to be added soon. October 2015 - New KanduIT learning subscription is launched! 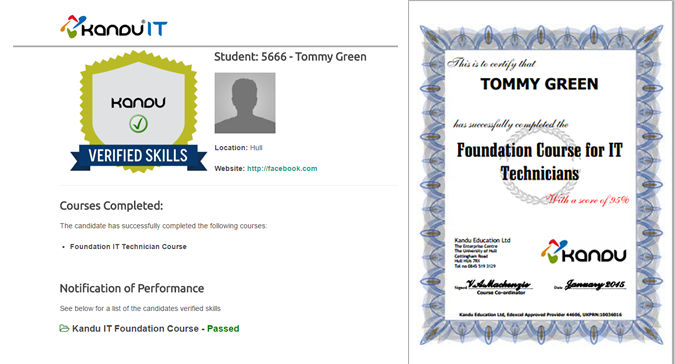 Students can now work towards BTEC QCF IT qualifications. The new Level 3 qualifications replace both the BTEC Award in Computer Engineering Level 2 and BTEC Advanced Diploma in Network Design & Administration Level 3. January 2015 -Kandu IT Free Introduction Course now includes free printable certificate of completion and an online skill profile. November 2014 - Version 7.0 of the BTEC Award in Computer Engineering officially released. November 2014 - The BETA of BTEC Award in Computer Engineering Level 2 Version 7.0 is now available as a 4 day trial, new users can signup here ... No credit card is required. July 2014 - Version 7.0 course contents finalised and approved. February 2014 - Development for the new Version 7.0 Level 2 learning interface begins. 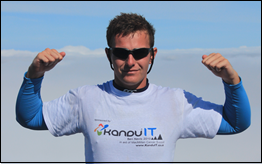 December 2013 - View our latest videos whilst in development at the Kandu IT Youtube Channel. The videos cover a range of subjects including computer assembly, operating system installation and more. November 2013 - CompTIA A+ 220-802 Practical Application test engine now included as a Free bonus to ALL BTEC Level 2 subscribers. All A+ 2012 objectives are now covered. June 2013 - CompTIA A+ 220-801 Essentials test engine now included as a Free bonus to ALL BTEC Level 2 subscribers. 220-802 coming soon !! December 2011 - Jaguar Land Rover employees now eligible for funding towards all Kandu IT courses as part of the ADS scheme. October 2011 - www.KanduNetworking.co.uk new website online ! The Kandu IT Academy is a scheme designed to provide access to our learning system and BTEC approved qualifications to students attending learning institutions such as Schools and Colleges. We have been working closely over the summer with the Queens Park Community School in North West London and are pleased to announce that 10 students of the school have now started the pilot course for the BTEC award in Computer Engineering. QPCS is a mixed comprehensive school with a strong Sixth Form. Ten students from the school will be completing the course during their Enrichment time in which pupils take time out from their studies to take up extra curricular activities. The School has been assigned a customized version of the Kandu eLearning system and its content.Teachers from the school can monitor and support the students online. QPCS hope to be the first school to successfully complete the course and create awareness for other schools interested in adding further courses to their 6th form options. Students hope to use the course to help them to possibly start up their own businesses or simply become more ‘IT savvy’ with their own home computers. April 2011 – Andy Wilce of Ipswich becomes the first UK student to complete the BTEC Advanced Diploma in IT Network Design & Administration Level 3. Andy completed the BTEC Award in Computer Engineering in 2005 and his business, ifixpc.co.uk, has now been trading for over 5 years. April 2011 - Congratulations to Anas Kaddo, the youngest person so far to obtain the BTEC Award in Computer Engineering Level 2.At just 12 years old Anas scored an outstanding 97% in his final assessment and is continuing his studies with the BTEC Advanced Diploma in IT Network Design & Administration. April 2011 – Richard Tremere of Kandu Schools presents Mandy Harrision with the ‘Kandu Cup’. Mandy receives the award for ‘Most Improved parkrunner of the Year’, completing 40 parkruns and improving her performance by an amazing 17 minutes 23 seconds. Well done Mandy ! 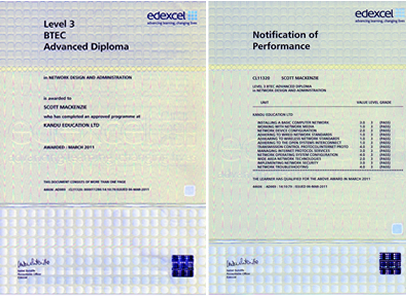 March 2011 – Edexcel external verification visit.Kandu Education Limited receive an A – Excellent grade for the program delivery, support and assessment. September 2010 - Kandu Education Ltd become a registered supplier for the Department for Work & Pensions 'Rapid Response' redundancy funding. Those recently made redundant, or facing the threat of redundancy may be entitled to funding towards the cost of our courses. Those interested should contact their local Job Centre Plus office. (After a bit of rest) Daniel will continue his studies working towards the BTEC Advanced Diploma in IT Network Design & Administration Level 3. July 2010 - BTEC Advanced Diploma in IT Network Design & Admin BETA enrolment announced. 30 former students enrol at a discounted rate, allowing systems to be tested and bugs reported prior to commercial enrolment. March 2010 - The Kandu IT devised syllabus "PC Assembly, Maintenance and Networking" has now received accreditation from the University of Hull at Level 4 for inclusion as part of the UFA (University Foundation Awards). More info on this program will be available soon. March 2010 - Kandu IT receive status as a 'A grade' (Excellent) centre following our Edexcel external verification. November 2009 – The all new BTEC Award in Computer Engineering Level 2 is launched built within the Kandu IT eLearning system. 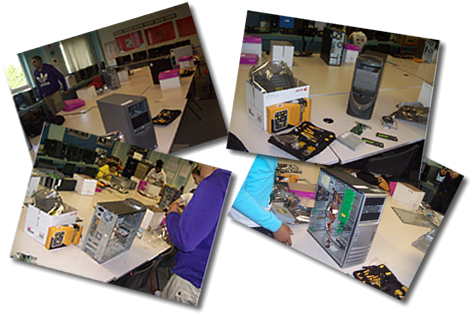 August 2009 – Development begins for the adaptation of the BTEC Award in Computer Engineering Level 2 to be updated and included as part of the eLearning Interface. May 2009 – Kandu Playground Challenge adopted by Leeds based schools partnership. March 2009 – Kandu IT eLearning BETA Interface online. November 2008 – The Kandu team and product range expands when Chalkagility is renamed as ‘Kandu Playground Challenge’, expertise and resources are combined to expand Kandu’s potential for delivering unique learning products. April 2008 – Initial plans are created for a new project to apply innovative learning systems to a broader range of educational subjects. Nov 2007 – Humberside IT Services submit syllabus for the BTEC Advanced Diploma in IT Network Design & Admin, this is approved by Edexcel.